Whether you’re preparing a large family meal, a small dinner or just want to make a quick little something: The Clever Cooking collection offers a variety of dishes and portion sizes for prep, serving and storing all of your food. 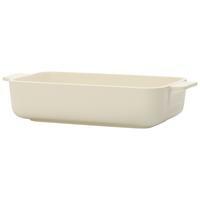 Clever Cooking dishes are heat-proof up to +260°C and ideal for using in the microwave or the oven. 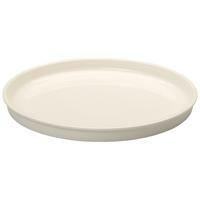 With its cleverly thought-out design, the flat dishes do double duty as lids or as separate baking pans. That means oven-roasted vegetables and Sunday roast can cook side-by-side. Or, you can prepare a sweet soufflé or apple crisp in no time. When you prepare your food using the Clever Cooking collection, you don’t need to transfer it to serving dishes because the stylish white forms complement any table ware! Add some sprigs of fresh herbs when serving your food. 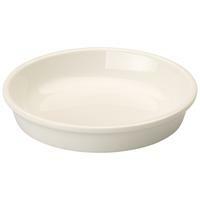 The highlight of the collection is the innovative sieve bowl made of ceramic: With it’s integrated silicone sheath, the bowl can be used to drain pasta or salad and then, with an easy twist, be turned into a serving bowl. 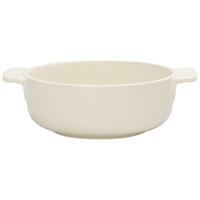 The silicone wraps the sieve bowl making it watertight and holds in warmth. 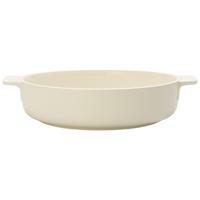 Finish your sauces and dressings and serve in style. 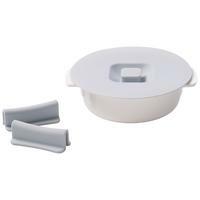 All of the Clever Cooking bowls can be stacked neatly in the refrigerator because of their ceramic covers. 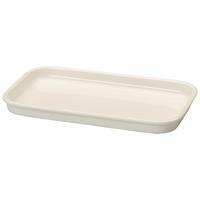 This is especially practical for leftovers or pre-cooked food. For dishes with fresh fish, Haya has an extra tip: Use one of the large Clever Cooking pans to put it directly on ice until ready to serve. 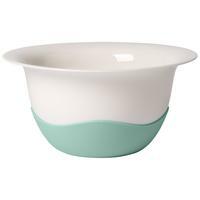 The Clever Cooking collection is finished with a special glaze that makes it very easy to clean. Left-over bits of food simply can’t hang on. That means no more pre-washing. 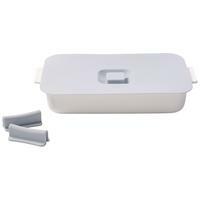 Just put the soiled pans directly into your dishwasher and save time, water and energy.